Active Risk Manager (ARM) is the world’s leading Enterprise Risk Management (ERM) software package. These product brochures offer more information on ARM, the award-winning core powering ERM in some of the world’s most respected organizations and the full solution portfolio including ARM Risk Performance Manager, ARM Risk Connectivity, ARM Apps and ARM Unplugged. ARM Risk Performance Manager (RPM) provides the business intelligence platform to make your risk and opportunity information come alive…. 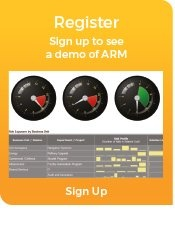 ARM Apps provide the easy to use, cost-effective way to involve all employees in the parts of the risk process relevant to them. This means the breadth of risk and opportunity information available for strategic decision making will be as comprehensive and accurate as possible….. ARM Unplugged provides a familiar spreadsheet-style way to capture risk and opportunity information. This is combined with simple two-way data synchronization to and from your corporate ARM risk system, maintaining data integrity and delivering the complete view of risk exposure across the business…….